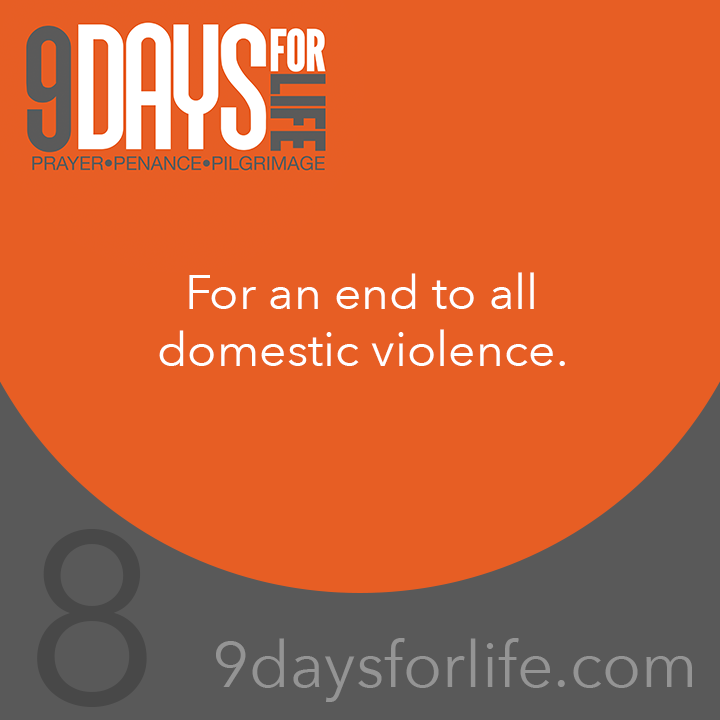 Intercession: For an end to all domestic violence. Reflection: “A correct reading of Scripture leads people to an understanding of the equal dignity of men and women and to relationships based on mutuality and love. Beginning with Genesis, Scripture teaches that women and men are created in God's image.” ("When I Call for Help: A Pastoral Response to Domestic Violence Against Women," USCCB 2002. See: www.bit.ly/WhenICallForHelp). Do you love your cup of tea or coffee in the morning? Fast from caffeine today, or try your coffee black. Learn how to pray the Angelus prayer, and consider saying it every day— on awakening, at noon, or at 6 p.m. (or all three times). Give up your favorite form (or all forms) of social media for the day. Spend some of the extra time meditating upon a Scripture verse or passage. If you believe someone you know may be in a troubled situation, you should call a hotline number for assistance, or encourage the person to do so themselves (911, the local hotline, or the National Domestic Violence Hotline: 1-800-799-7233/ TTY 1-800-787-3224).